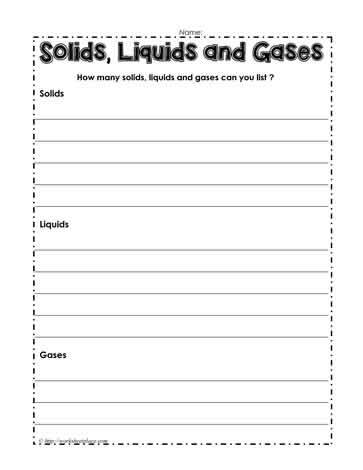 Make a list of all the solids, liquids and gases you can think of. Everything is made of matter, everything around you is a form of matter. Matter is everywhere. These states of matter worksheets and printables are helpful for young leaners.